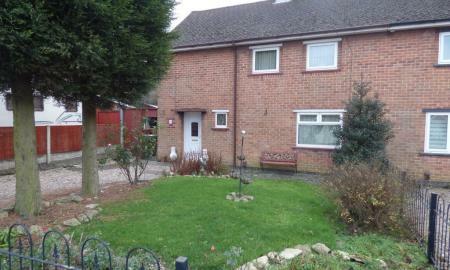 Fantastic detached family home in a quiet residential area. With a driveway, garage, conservatory and well-kept rear garden this four bed property has plenty of space for the family. Martin & Co are pleased to bring to the market an extremely spacious and well presented semi detached family home, whereby an early inspection is highly advised in order to avoid disappointment and in order to appreciate the condition of this home on offer. The accommodation briefly comprises entrance hall, with cloakroom and kitchen/dining room and living room with fireplace located on the ground floor, with stairs to the first floor offering three bedrooms including master with fitted wardrobes and a family three piece bathroom suite. Externally, the large sunny aspect garden forms a particular feature and there is ample parking on driveway to the front. Additional benefits include double glazing and electric central heating.